Way back in the day, when I had time & before having a child, I used to love painting my nails. I even did the whole nail art bit as well. Now a days, I'd be lucky to even get some colour on my nails once a month. Admittedly, my polish collection isn't the largest or do I own a variety of brands. 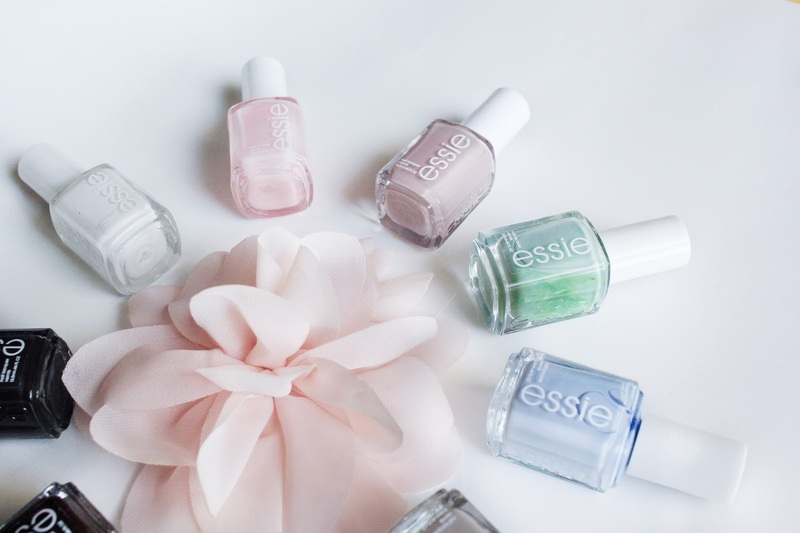 In fact, the company that I gravitate mostly towards is Essie. 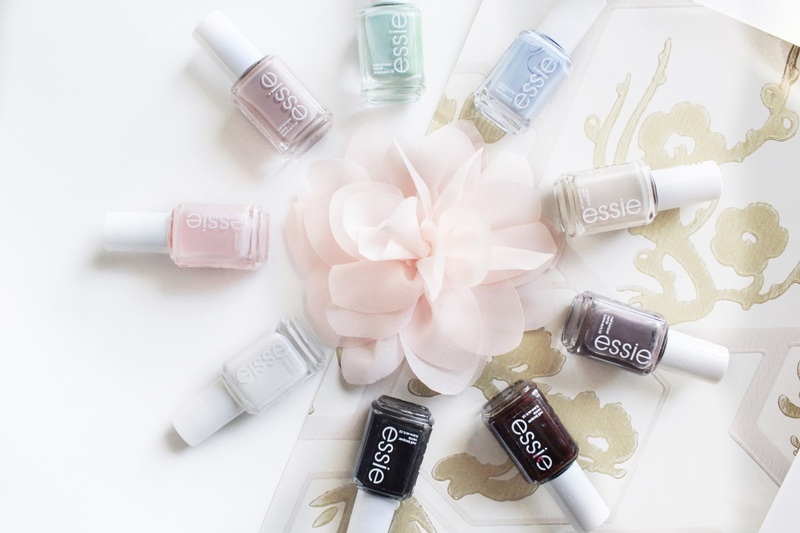 Whenever I go to the drugstore, I always admire the Essie stand looking for a shade to come home with me. So far, I have 10 polishes from them and I love them all. Now I'm not an expert on nail polishes, so I can't really review them. But I can say that they all show up on my nails the same shade they look in the bottle, though it does take at least two coats to achieve it. Do what you will with that info. Moving on, here is my little collection..
Blanc | A straight white shade. - I always like painting my toes with this. Spaghetti Strap | A sheer pink peony. - This looks really pretty during the Summer! 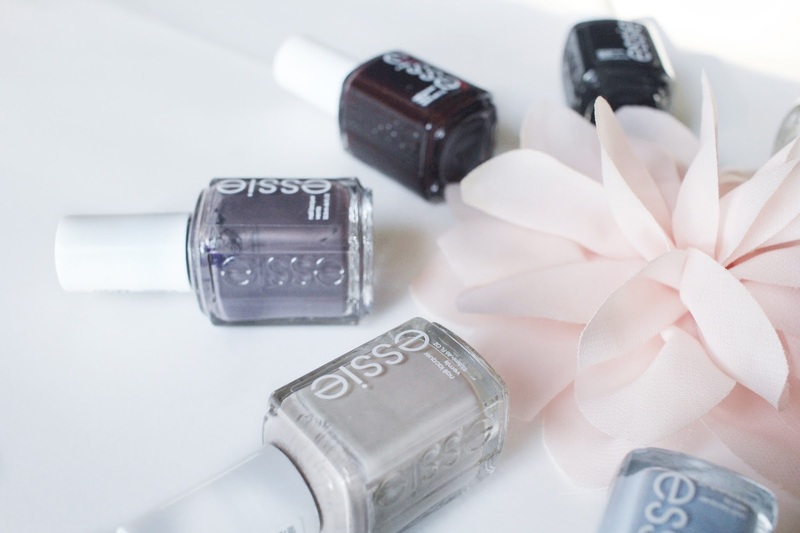 Lady Like | An elegant soft mauve. - I love my mauves. This is a good one all year round. Turquoise & Caicos | A flirty & pretty tropical aqua. - I feel like this is a good one for summer vacay. Saltwater Happy | A sugar-sweet Atlantic blue. - I haven't used this yet but it's so pretty. Sand Tropez | A soft sandy beige. - This is a nice minimal shade. Smokin' Hot | A stone-cold fox grey. - This doesn't match the description, it's more of a purple. Wicked | A deep and dark creamy sinister red. - So perfect for Fall! Licorice | A beguiling jet black cream. - Everyone needs a black nail polish. Matte About You Top Coat | A matte top coat. Do you have any shade recommendations? Leave them in the comments!